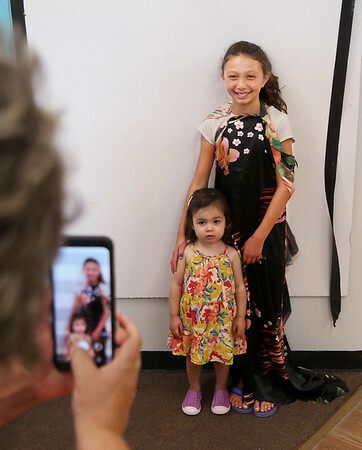 Nine-year-old Daphne Cloutman poses for a photograph with her cousin Isla Miles, 2, following a fashion show Friday at Cape Ann Art Haven. The event wrapped up the annual "Fashion Week" at Art Haven. Daphne and other children designed and sewed their own clothes during the week, and showed them to family during the Friday event.